In recent weeks, the housing market has been at the forefront of the headlines, with major metropolitan markets booming. From London to New York to L.A. the big city areas are experiencing a fantastic upswing in transactions and foreign influences. Niche markets, such as Montecito and Santa Barbara are also experiencing a surge, however the specifics are decidedly unique. One of the Montecito market's niche characteristics is that many homeowners own multiple residences and spend a portion of their time living or vacationing in their Montecito homes. Many buyers come from within the U.S., many East Coast and Mid-Westerners. Internationally, the U.K. has a firm presence and we do not experience the high influx of Asian, Russian or Canadian buyers that the larger markets are seeing. 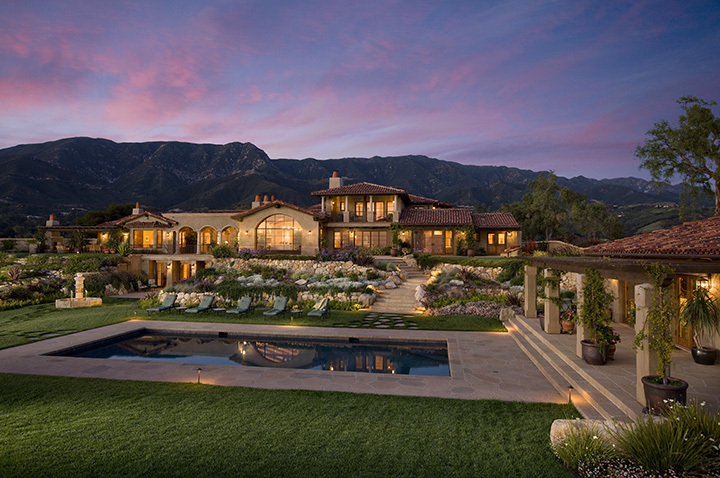 In Montecito, over 60% of homes are priced above $1M with the luxury price range starting around $7M. The under $2M price range is robust, many desireable properties receive multiple offers. The mid-range, $3M-7M is also steady with low inventory and a relatively high demand. The luxury market is somewhat slower. Inventory is saturated but we are not seeing the demand. The high-end market is experiencing a shortage in demand, inventory is steady however we are lacking in buyers. Prices are still down from 2007 but have held steady over the last 12 months. In niche markets, "luxury" or "high-end" properties are often defined differently, with certain amenities demanding a premium. Montecito's unique location, between the foothills of the Santa Ynez Mountains and the Pacific Ocean, provides idyllic coastal views - which high-end buyers covet. Most luxury buyers want an ocean-view, turn-key property with a close-in location. Being within the prestigious Montecito Union School Distict and Montecito's "Golden Quadrangle" is another desirable factor of location, near to The Upper Village shops and restaurants and the world renouned San Ysidro Ranch resort. Picacho Lane, Park Lane and Riven Rock Road are considered first class streets.